More Utahns are trying to eat healthier foods, and one of those foods is fish. Unfortunately, fish from the ocean is becoming less healthy as it accumulates human pollutants like mercury. Health experts do not recommend that pregnant women, those planning to become pregnant, and younger children eat canned tuna and other ocean fish due to higher levels of mercury and PCBs. Studies in other parts of the world do indicate, however, that the benefits of eating fish often outweigh the negative effects of human-created pollutants. So, if one does not know the source of their fish, or the potential dangers, what is a person to do? I suggest they harvest fish from our own Utah waters that do not have high levels of these pollutants. Many Utahns think that becoming an angler is too difficult and expensive. They have visions of $60,000 bass boats and the vehicles required to tow them, until they learn that they do not need all of that “elitist crap.” Almost anyone can obtain a fishing rod for free or buy one at a yard sale. An annual Utah fishing license is free for those under 12 years of age, less than $16 for up to 17 years, and only $34 for those up to 64. 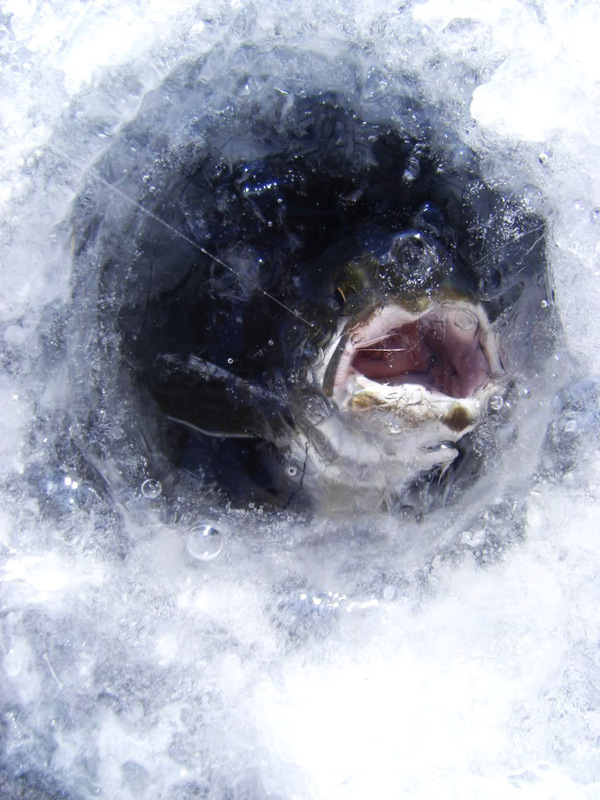 Learning to catch fish through the ice is far easier, safer, and less expensive than most people think. To get started, you could take my annual ice fishing class through West High School Community Education that usually starts about second week in January. I try to cover everything, including the food fishes and how to catch them here in Utah’s waters. Equipment can be a simple as insulated rubber boots, a warm hat, windbreaker, sunglasses, a chemical hand warmer, a five-gallon bucket with a lid, and a small kiddie sled to drag stuff on. We make our own fishing rods in my class, and we learn a couple of easy fishing line knots to tie on the relatively simple fishing tackle required. 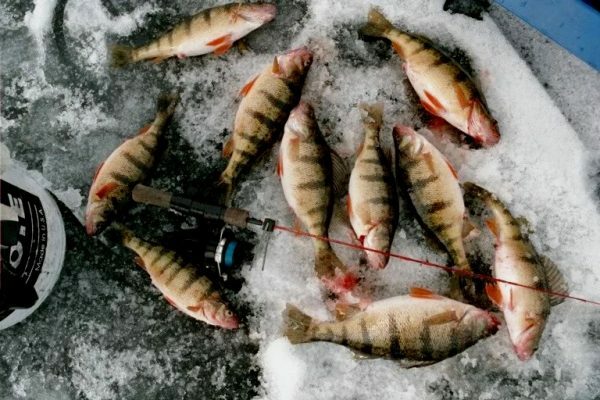 You could learn that one does not even need to drill holes in the ice, as plenty of holes are usually available in good areas, and experienced ice fishermen are generally pretty friendly and willing to help newcomers out. Ice fishing can be cold if it is overcast and windy, however, if it is clear and calm, the temperatures on the ice can be as much as 20-degrees warmer above the winter inversions of the Wasatch Front. So, what the heck! Learn to ice fish. Get out into the sunlight. Catch and eat some of Utah’s yummy trout. Be happier and healthier.